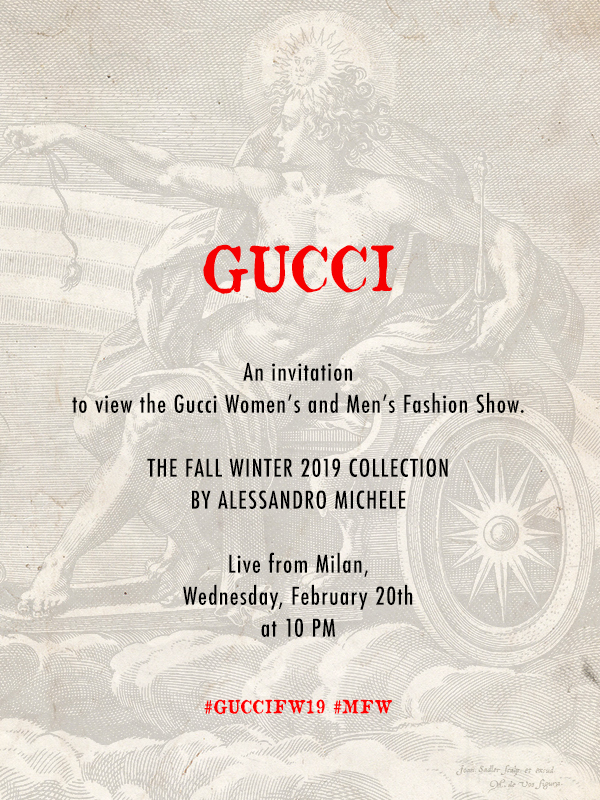 Stay tuned to Augustman.com for the latest updates as we bring Milan Fashion Week to your screens with the upcoming Gucci FW19 show, taking place on February 20th, at 3PM CET (February 20th, Wednesday at 10PM SGT) in Milan, designed by Alessandro Michele. Gucci’s creative director, Alessandro Michele, is pretty much the brand’s crown jewel. Since 2015, Michele has been formulating a success strategy to resurrect the brand, making great strides ever since his induction into the Kering-owned fashion house. In other news, Michele is also co-chairing the 2019 Met Gala, which is, notably, one of the biggest events on the fashion calendar. If even legendary US Vogue Editor-in-Chief Anna Wintour is giving a nod to the talents of the Italian-born fashion designer, it is needless to say, Michele’s upcoming Gucci FW19 show will steal the spotlight in Milan Fashion Week. If you want the latest fashion news, keep up with Coach and Burberry on their FW19 releases in the month of February.